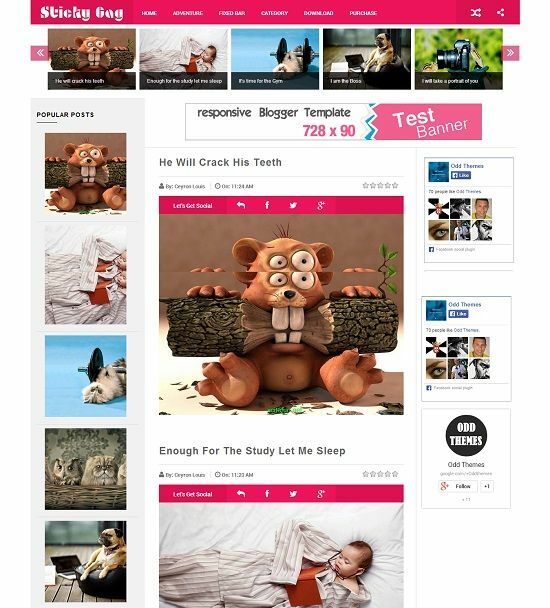 StickyGag is a free responsive and magazine blogger template. It is a 3 column layout with image filled awesome design look which particularly fits for gags based websites. StickyGag blogger template can be used on funny image, photography, wallpaper, art and gags based website.